With its lovely rolling hills, charming neighborhoods, and some of the state’s best Mexican dining, residents of Rancho Santa Margarita often set down roots for life. When a move becomes necessary, however, those in need of the best Rancho Santa Margarita movers call Coast Valley Moving! Since 1972, we’ve been helping people make their moves. Whether down the street or across the country, our quality moving services and competitive pricing have made us the first choice for Rancho Santa Margarita moving and storage! If you’re planning an interstate move, you need the expert help of a professional moving company. Our Rancho Santa Margarita movers offer value-driven moving and storage solutions that allow you to choose just the services you need. Your relocation coordinator will explain all of the options and help you create a custom moving plan that fits your needs and your budget! Whether you’re moving one state over or to the other side of the country, we can help! As a Wheaton World Wide agent, we have access to the best equipment and moving professionals from coast to coast! 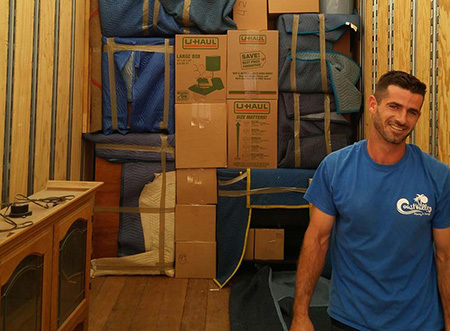 Our Rancho Santa Margarita moving company can make light work of your interstate move! We offer a comprehensive menu of moving services as well as convenient storage solutions. Whether you need to store your items for a few weeks, a few months, or longer, your belongings will be safe in our secure facilities. Storage can be included as part of your moving package. Our storage options are as convenient as they are cost-effective. Simply store your items for as long as you need and, when you’re ready, we’ll deliver them to your new location! When you want a moving company that will make your move stress-free and treat you with the courtesy you deserve, call our professional Rancho Santa Margarita movers! Our customer-first philosophy means that we aren’t happy until our customers are 100% satisfied. Take a look at the many positive reviews we’ve earned and then contact us to see for yourself why we are the #1 choice among Santa Margarita moving companies! Contact us today to learn more about all of our moving services! Call Coast Valley Moving to speak with a moving specialist or fill out our online contact form to receive a free, no-obligation estimate!